Don't miss a thing! Sign up to be notified about new blog posts. Today Zoom announced the development of two new programs that will expand the reach and impact of its software-based conference room solution, Zoom Rooms. We will showcase the scope of our Technology Ecosystem Program and Certified Integrator Program, along with the breadth of our communication solutions, at Enterprise Connect this week. 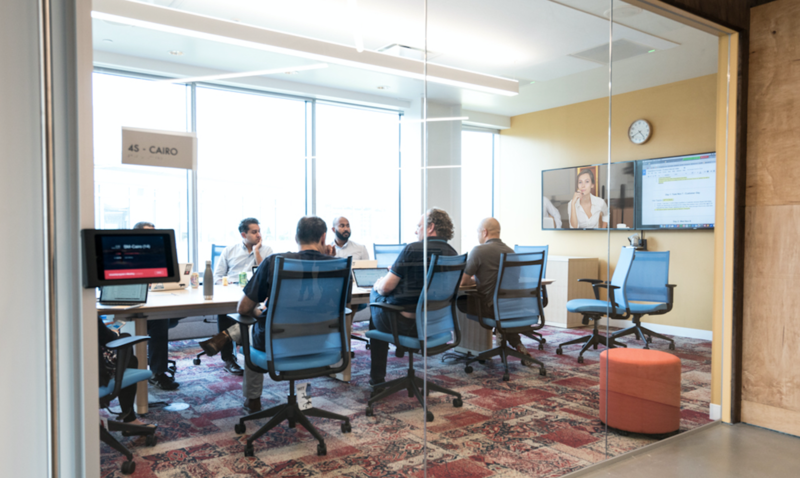 Zoom Rooms’ superior user experience and scalability have enabled thousands of organizations such as Uber, Conde Nast, Zendesk, and REA Group to deploy tens to thousands of video-enabled collaboration spaces. The new programs, coupled with the recently-announced Zoom Rooms Digital Signage and Scheduling Display, demonstrate Zoom Rooms’ growth from a video conference room solution to a broader platform that brings powerful, frictionless video communication and collaboration to any space. Zoom Technology Ecosystem Program: AVer, Avocor, Crestron, Dell, DTEN, Heckler Design, Huddly, i3-Technologies, Logitech, MXL Microphones, PanaCast (Altia Systems), Polycom, Revolabs (Yamaha UC), Sharp, and Suirui are all developing products or bundled hardware kits to enable greater capabilities in Zoom Rooms, enhancing the overall user experience and the ease of deployment and management. Dell, as an example, now provides the Dell OptiPlex, large displays, and other components optimized for Zoom Rooms. Zoom Certified Integrator Program: Audiovisual Projects, BTC Direct, CCS Presentation Systems, Colortone Audio Visual, CoitCom, Connect NZ, Connect4Video, Cowbell Technologies, David Carroll Associates, DGI Technologies, Genesis Integration, Global Interactive Solutions, HB Communications, Immedia Integrated Technologies, IVCi, S&S IP SAS, TechSonic, VC Systems, VideoConferenceGear.com, Whitlock, and other global integrators plan, design, and deploy Zoom Rooms across enterprise customers’ locations. These integrators are trained, certified, and enabled by Zoom’s Professional Services Organization to ensure that they deliver happiness to Zoom customers. “Zoom is hyper-focused on creating the best video communications software and innovating at a fast pace. We are excited to work with these carefully-selected partners to expand our solution with the best technology and deployment experiences for our customers, whether they’re outfitting offices, huddle rooms, training rooms, or any other spaces,” said Oded Gal, head of product management for Zoom. At Enterprise Connect, March 12-14 in Orlando, booth #1211, Zoom will demo various Zoom Rooms configurations using hardware from its ecosystem program. It will also showcase its mobile and desktop solutions, as well as numerous recently-released features including workplace digital signage, scheduling display, integrations with Alexa for Business and Samsung DeX, 7×7 desktop view, and Zoom Rooms for Touch with phone dial-in/out and directory. Copyright © 2019 Zoom Video Communications.